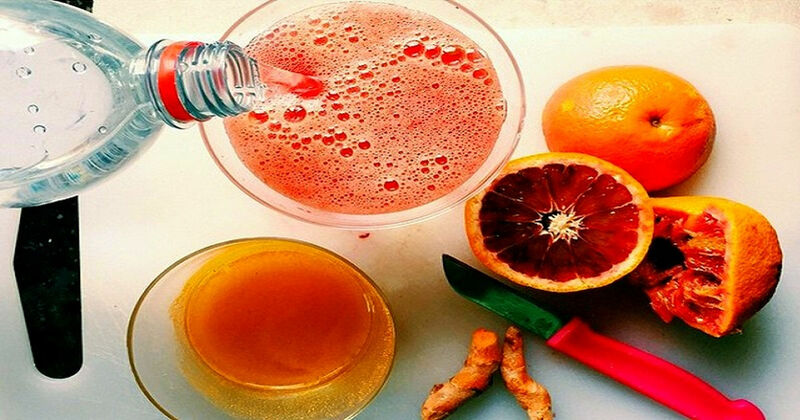 Turmeric is one of the most potent natural cure-all. Turmeric lemonade will give you a good daily dose of turmeric. The golden root is a powerful anti-inflamatory that stops the growth of pre-cancerous cells(1), helps Alzheimer’s, lowers bad cholesterol, and treats skin cancer. 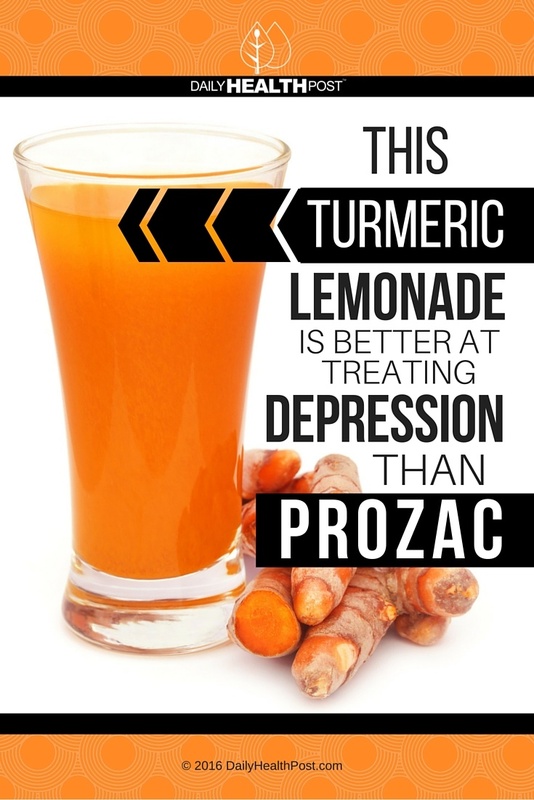 The list goes on and on, but perhaps the most interesting thing turmeric can do is treat Major Depressive Disorder. This is really good news, since Prozac and other drugs used in treating depression have serious side effects, including trouble breathing, bleeding in the stomach and thoughts of suicide(2). In a recent study (3), Curcumin (the active ingredient in turmeric) equaled the effects of the prescription drug fluoxetine (the generic form of Prozac). Although there are many other ways to get your fill of turmeric, this recipe is particularly tasty. It can also be used in combination with this anti-anxiety lemonade. Combine all ingredients into a small pitcher, stir and serve. Enjoy!